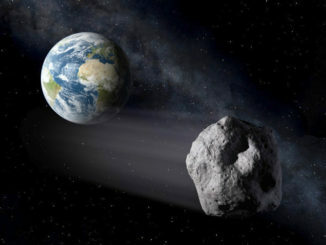 Shortly after 11am BST on Monday, 3 September, an 800-metre-wide space rock with the catchy name 2015 FP118 hurtles past Earth some 12¼ times the average distance of the Moon. 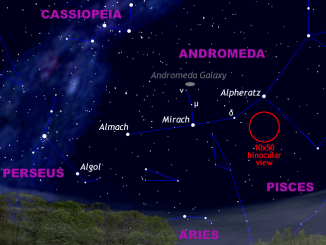 On subsequent nights we show you how to track it down with backyard telescopes of 10-inch (25-cm) aperture and larger. The Instituto de Astrofísica de Canarias (IAC) set out to test the limit of observation which can be reached using the largest optical-infrared telescope in the world: the Gran Telescopio CANARIAS (GTC). 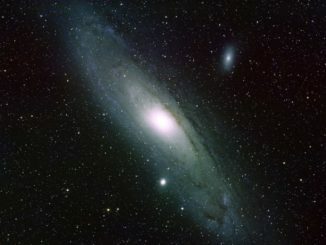 The observers managed to obtain an image 10 times deeper than any other obtained from the ground, observing a faint halo of stars around the galaxy UGC0180. 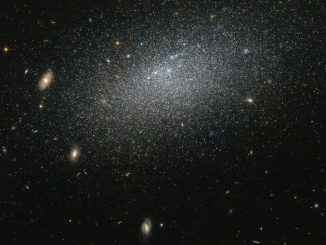 The drizzle of stars scattered across this image forms an irregular dwarf galaxy known as UGC 4879. Some 2.3 million light-years from its closest neighbour, UGC 4879’s isolation means that it has not interacted with any surrounding galaxies, making it an ideal laboratory for astronomers looking to understand the complex mysteries of starbirth throughout the universe. 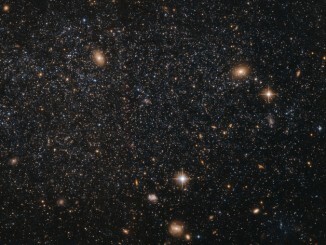 At first glance this NASA/ESA Hubble Space Telescope image seems to show an array of different cosmic objects, but the speckling of stars shown here actually forms a single body — a nearby dwarf galaxy known as Leo A. 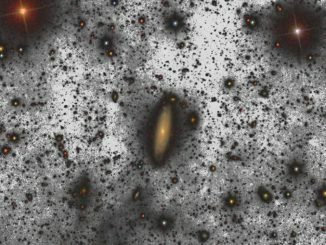 Its few million stars are so sparsely distributed that some distant background galaxies are visible through it. 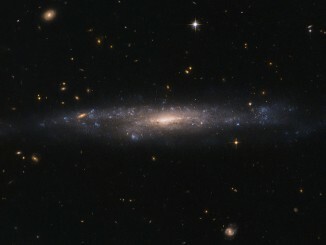 This striking NASA/ESA Hubble Space Telescope image depicts the low surface brightness (LSB) galaxy known as UGC 477, located just over 110 million light-years away in the constellation of Pisces. 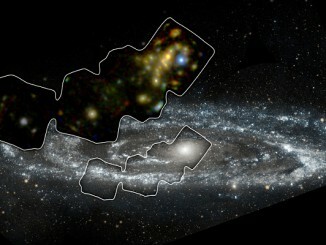 LSB galaxies appear to be dominated by dark matter, making them excellent objects to study to further our understanding of this elusive substance. 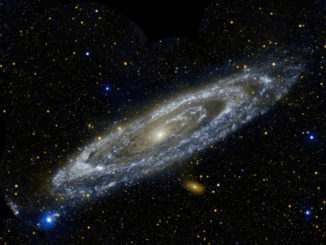 NASA’s Nuclear Spectroscopic Telescope Array, or NuSTAR, has captured the best high-energy X-ray view yet of a portion of the Andromeda Galaxy, our nearest large neighbouring spiral galaxy. 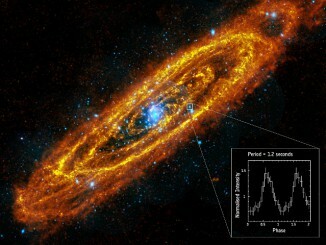 The space observatory has observed 40 “X-ray binaries” — intense sources of X-rays comprising a black hole or neutron star that feeds off a stellar companion.